I loved Roxane Gay’s writing after I discovered her in Bad Feminist and I’ve been eagerly awaiting the release of her book, Hunger – A Memoir of (My) Body. This book captivated me from the get go. I listened to it twice in a row because I wanted to make sure I really “heard” her. There was so much to take in and process, as a reader, as a helping professional, and as a health at every size advocate. Anyway… I know people are reading this and I desperately wanted to sit down with another helping professional to discuss and process together. Enter Dr. Maria Paredes. She was just as enthralled with Hunger as me. She has experience counselling trauma survivors. She is also a health at every size advocate. Tune in to hear us chat about Hunger and some of the key issues Roxane brought up in the book, both as a personal story of her experience in her body and how large bodies are treated in general by our diet culture. I dare you to listen and say anything but, “THIS SH*T AIN’T RIGHT”. Thanks for tuning in. Please leave a rating and review of the show as it helps more people find Body Kindness. 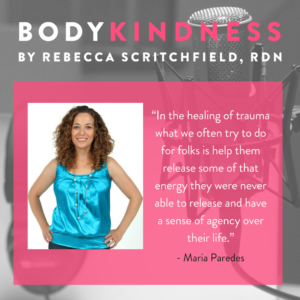 Dr. Maria Paredes is a Licensed Professional Counselor, Clinical Supervisor, Certified Eating Disorders Specialist & approved IAEDP supervisor, and owner of Three Birds Counseling & Clinical Supervision, PLLC in Greensboro, NC. 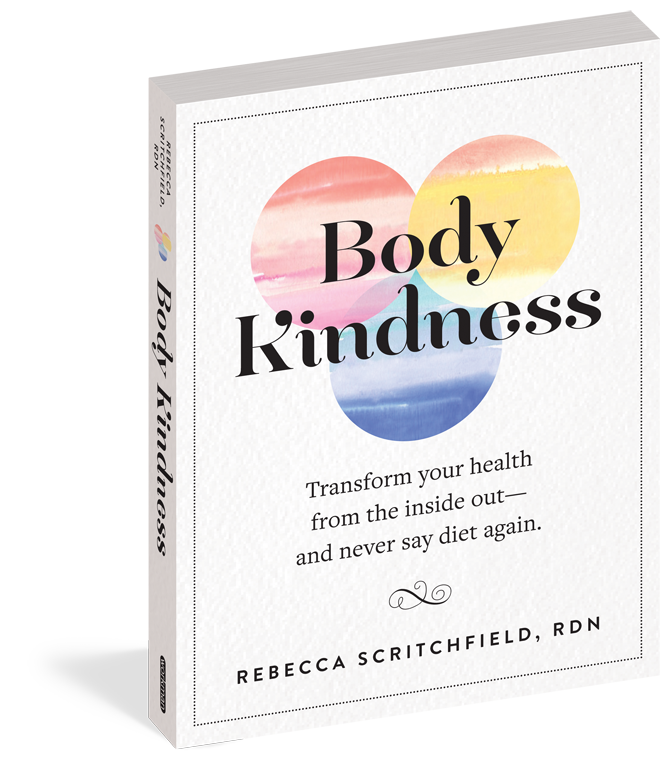 She works with women and men who want to make peace with food and with their bodies, using Health at Every Size and Intuitive Eating approaches, grounded in Relational Cultural Therapy. She’s passionate about helping individuals live fuller lives, free from negative thinking, fear of food, and body hate. 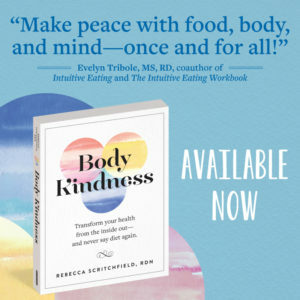 She believes ALL bodies have worth and that ALL individuals deserve to enjoy food, move in ways that feel joyful, treat their bodies with kindness and gentleness, and experience authentic connection with themselves and others. Maria recognizes that this healing must occur within the individual therapeutic relationship as well as within the larger, cultural environment, and thus embraces the role of advocacy and activism. Her clients include individuals with disordered eating and body image concerns, anxiety, and infertility/pregnancy loss. She also teaches courses in UNC-G’s Counseling department and provides clinical supervision and training to new professionals working toward their license as therapists. Maria has 3 young girls and hopes that they will grow up to experience the wonder and power of all their bodies have to offer.